It might be hard to fathom, but there are those who love their jobs so much that they want to keep working as long as they can. If you are not part of this minority, however, you probably have the recurring dream of retiring early. After all, the thought of leaving your job behind while you are still healthy enough to enjoy all that free time has a certain appeal. 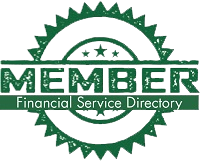 A Self-Directed IRA could be the key to your success. Unfortunately, for most American workers the dream never comes true. They struggle to retire comfortably by their regular retirement age, which today starts with early retirement at age 62 and continues to full retirement at age 66. So, to be realistic, unless you hit the lottery the only way you will retire early is through hard work, smart financial decisions, and some sacrifice. You will need to get a jump on early retirement by saving as much as you can while you are still working. If you plan to leave the workforce early, you have less time to build up your retirement savings. Couple that with the fact that your money will have to last for more years, and it should be apparent that you will need to save aggressively. Take a look at this example: If a 30-year-old saved $750 per month to reach the goal of retiring at 65, that monthly amount would have to more than double to have accumulated the same amount by age 55. And the savings would have to last through those ten extra years of retirement. To get an estimate of how much you will need to save—based on your age, your target date for retirement, and your current salary—it’s best to talk to your financial advisor to run the numbers. 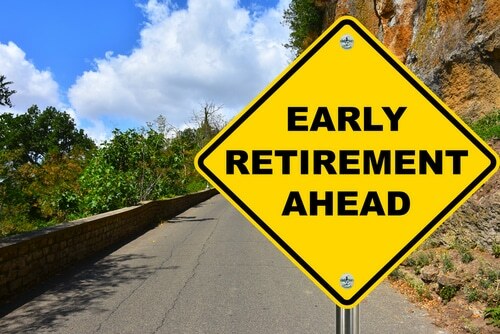 As you talk to your advisor, make a plan for getting to early retirement. Discuss your travel plans, what luxuries you hope to have, and items such as insurance that you will be responsible for paying in early retirement. With these figures in front of you, the two of you should be able to come up with a realistic roadmap. Too much debt can derail your plans for early retirement. It can take up a substantial portion of your income if you are making mortgage payments, auto loan payments, or have student loan debt. You have a better chance of a successful early retirement if these debt payments are not part of your monthly budget. A comfortable early retirement is not just going to happen on its own. Traditional pensions are going by the wayside, and early retirement means a lower monthly social security check in the future. So, if you are hoping to retire early, it will mostly come from your efforts and savings. The transition to zero income can be a painful adjustment. You will feel less pressure if you have additional sources of income. You could do some part-time freelance work or start a small business to supplement your income. Some people build an income stream with real estate. Investment properties provide rental income, and you can begin building your real estate portfolio before you retire. Savvy retirement investors are using Self-Directed IRAs to purchase real estate. With the help of an IRA’s tax benefits, they reach retirement already established with a source of extra income. Time is a big factor in how much you accumulate for early retirement. If you start investing when you are young, your investments have time to grow. And because you have started early, you can afford to look at investments that carry more risk (and more potential for growth!) to make your portfolio grow and give you the best chance of leaving work early. If you want to have extra money to set aside for your early retirement, you should be willing to make some small sacrifices. Conventional wisdom usually counsels you to give up that daily 4-dollar latte, but there are countless other little luxuries that you could painlessly give up to beef up your monthly savings.